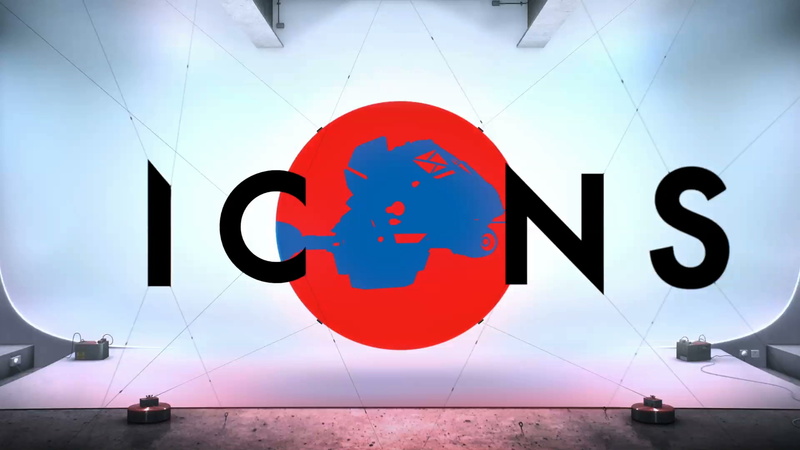 The Studio have collaborated with NBC Universal’s creative department to create a campaign for the SYFY channel called ‘ICONS’. The aim of the campaign is to highlight some of the iconic programming that is being shown across the channel such as, Twin Peaks, Buffy, Alien and Firefly to name a few. The concept was to set up a simple digital projection disc showing iconic images animating from the various shows. The projection disc was hung within a photographic studio cove where the letters creating the word Icons were suspended by steel wires in different positions within the space to align perfectly at the end of the ident. We wanted to play with the contrast between a photo real studio environment and a bold flat animation. Firstly I modeled the studio, then handed over to Nicola Destefanis. I then focused on the flat animation on the circle. These animations had to showcase the movies showed on Syfy: we start from Malcom’s pistol from Firefly, the mountains of Twin Peaks, a Xenophorm from Aliens, the Buffy’s scythe and we end again on the Serenity. With the director, I tried to work out what were the most iconic objects from the movies and what were the best transitions. In total I’ve submitted more than 1 minute long flat animation, showing movies and tv series that, in the end, weren’t used by the channel. I created a personal edit that shows the creative process, starting from generic shapes (as a proof of concept) to the final delivery. I carefully created the flat animations in Cinema 4D, using just the luminance channel to achieve this particular look. Most of the shots are coming straight from Cinema 4D, wheres some transitions are done in After Effects. Bumpers were also created where an image of the shows actor(s) transitions on instead of the O. The Studio created story boards, style-frames and the final animation and CG working closely with NBC’s head of on air design Mark Gouldie.